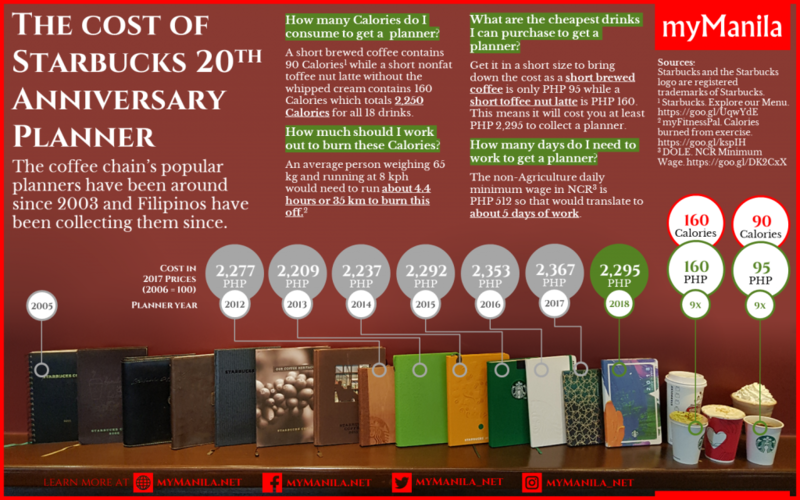 Were you shocked (like Roberto Tiglao) when you got your December bill from Meralco? I wasn't as shocked as he was. In fact as a private entity, I expect Meralco to find the cheapest electricity (so we consume more) and so that they earn money from it. 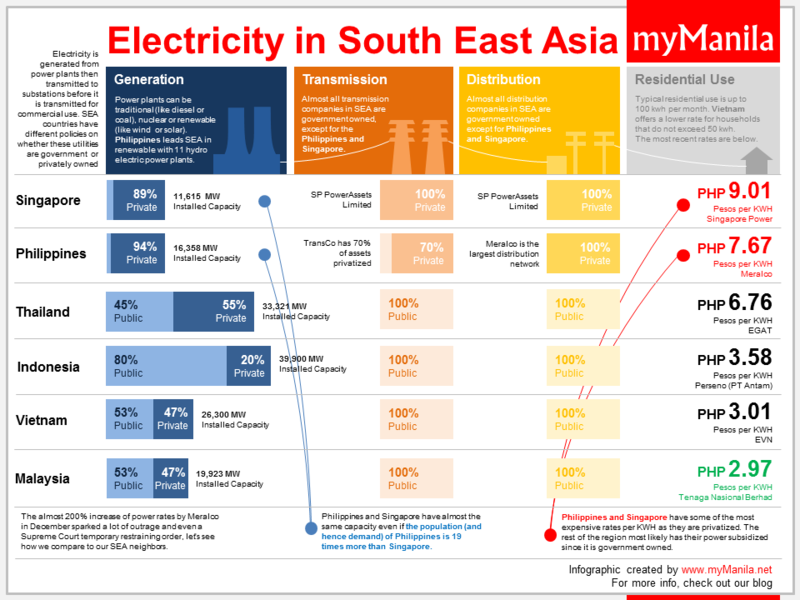 So I did a fact check - is electricity in Manila more expensive compared to our South East Asian neighbours? First, let's look at the three major components of power grids. Electricity is generated from power plants (Generation) then transmitted to substations (transmission) before it is transmitted for commercial use (distributioN). SEA countries have different policies on whether these utilities are government or public owned. In the Philippines, we opted to privatize all three of these utilities. Now why is Singapore and the Philippines the most expensive in SEA? There's a whole lot of reason behind this. First, it's possible that this is because they are competing privately without subsidy from the government. Second is that the two do not produce a majority of their fuel. Singapore imports most of everything while the same holds true for the Philippines. Third is capacity, it's possible that there is a high demand in the Philippines - our population is 19.5 times more than Singapore... but our power rates and installed capacity is almost the same. So is our power expensive? Yes. Is it because of privatization? Possibly too, yes. What can we do about it? In my opinion we need to find cheaper ways to source electricity AND we need to ramp up our plants to meet the capacity.